This week on The Sound Kitchen, you’ll hear the answer to the question asking who won the Golden and Silver Bear awards at the 69th Berlinale Film Festival in February. We also step back in time to ancient Egypt with a sneak preview of an extraordinary Tutankhamun exhibition, there’s a music request from an RFI listener in Australia - and of course, the new quiz question. Just click on the arrow in the photo above and enjoy! Hello everyone! Welcome to The Sound Kitchen weekly podcast, published every Saturday. You’ll hear the winner’s names announced and the week’s quiz question, along with all the other ingredients you’ve grown accustomed to: your letters and essays, “On This Day”, quirky facts and news, interviews, and great music … so be sure and listen every week. Wouldn’t you like to hear your voice on The Sound Kitchen? I know I would! Get out your telephones and record what we call “drops” – because we “drop” them in the show here and there - they’re the little “You’re listening to The Sound Kitchen, and Susan Owensby is cooking” things we sprinkle in the show. Many of these are from listeners, and since I’m always hungry, I want more! Here’s what you can say: “I am (your name) from (your country) and you’re listening to The Sound Kitchen on Radio France International.” “I am (your name) from (your country) and you’re listening to The Sound Kitchen, where you never know what you’ll be served!” “I am (your name) from (your country) - you’re listening to The Sound Kitchen, and Susan Owensby is cooking.” Or be creative and make up your own – why not? Samuel Francis from Jamaica sent me one that said “yah man” – I play it often! Send them to me as either Mp3 or WAV files, at thesoundkitchen@rfi.fr Paris Live, our afternoon news broadcast, wants in on the action, too! You can also send recordings of you saying the above, but instead of (obviously) "The Sound Kitchen", say "Paris Live". We'll have your voices all over the English Service airwaves - which is great! I would also like to hear from you about your little moments of joy. Small, daily things: a beautiful sunset, a baby’s laugh. Let’s add that as a very nice ingredient to our communal cooking – let’s share the joy! In these crazy times, we all need it … write to me at thesoundkitchen@rfi.fr For our DX enthusiast and shortwave listener friends: I am sad to announce we no longer have a shortwave frequency; we have severe budget constraints which no longer permit us to broadcast via shortwave. But you can still hear us on World Radio Network. As you know, we now broadcast only 1 hour per day, Monday – Friday, from 14:00 to 15:00 UTC/GMT. For North America: WRN broadcasts the quotidian RFI English programme three times a day from Monday to Friday, from 06:00 to 06:59, from 10:00 to 10:59 and from 16:00 to 16h59 UTC/GMT. http://babcock.media/world-radio-network/networks/english-north-america/ For Africa and Asia: WRN broadcasts the quotidian RFI English programme three times a day from Monday to Friday, from 06:00 to 06:59, from 10:00 to 10:59 and from 16:00 to 16h59 UTC/GMT. http://babcock.media/world-radio-network/networks/english-africa-asia/ For Europe: WRN broadcasts the quotidian RFI English programme three times a day from Monday to Friday, from 07:00 to 07:50, from 12:00 to 12:59 and from 20:00 to 20:59 UTC/GMT. http://babcock.media/world-radio-network/networks/english-europe/ In Paris, you can hear us on World Radio Paris (http://www.worldradioparis.fr/) on DAB+, Monday to Friday from 15:00 to 15:59 UTC/GMT as well as Tuesday through Saturday from 07:00 to 07:59 UTC/GMT. To listen to our features, go to our website and click on “Features”. You’ll see all of our features (now podcasts only). You can either listen directly, or subscribe and receive them directly on your mobile phone. Don’t give up on us! “My Favourite Music” is a nice – and important! - new ingredient to our communal cooking … it’s your musical requests from a certain genre or type of music. We started with your favourite female singers, then we moved onto men, and now, it’s your favourite instrumental music. It can be a band or a group, with or without singer, and we’ll play your requests throughout this month and April. Write to me at thesoundkitchen@rfi.fr, and be sure you include your city and country in your note, along with a link and a short translation, if you can. Share why the music is important to you, please! I think it is quite nice to share your favourite music as well as your thoughts about it – thanks to Daniel Singleton, the RFI English Head of Service, for the idea! This week’s request is from Veronica Smith-Ralph, an RFI Listener from Langkoop in Victoria, Australia. Teachers, take note! I save postcards and stamps from all over the world to send to you for your students. If you would like stamps and postcards for your students, just write and let me know. The address is thesoundkitchen@rfi.fr Did you know there’s an RFI English newsletter? If you subscribe, you'll receive our newsletter every day. Just click on Newsletters, fill out the form, and you'll stay up-to-date with RFI English. Welcome to our new RFI Listeners Club member: Howard Barnett from Northampton, England. So glad you’ve joined us! You too can be a member of the RFI Listeners Club – just write me at english.service@rfi.fr and tell me you want to join, and I’ll send you a membership number. It’s that easy. When you win a Sound Kitchen quiz as an RFI Listeners Club member, you receive a premium prize. RFI Clubs: Be sure to always include Audrey Iattoni (audrey.iattoni@rfi.fr) from our Listener Relations department on all your RFI Club correspondence. Remember to copy me (thesoundkitchen@rfi.fr) when you write her so that I know what is going on, too. N.B. You do not need to send her your quiz answers! We’ve made a Facebook page just for you, the RFI English Clubs. It is a closed group, so when you apply to join, be sure you include the name of your RFI Club and your membership number. Everyone can look at it, but only members of the group can post on it. If you haven’t yet asked to join the group, go to the Facebook link above and fill out the questionnaire!!!!! (if you do not answer the questions, I click “decline”). Are you interested in forming an official RFI Club, or transforming your existing club into an official RFI Club? Click on the link to find out how! This week’s quiz: On 23 February, I asked you a question about the 69th Berlinale film festival. I wanted to know which films won the Golden and Silver Bears, who directed each one, and what is the nationality of each director? The answer is: The Golden Bear for Best Film was awarded to Synonyms, directed by Nadav Lapid from Israel. The Silver Bear, or Grand Jury Prize, was awarded to By the Grace of God, directed by François Ozon, who is French. The winners are: Arne Timm from Harjumaa, Estonia; Subha Biswas from West Bengal, India; Zenon Teles from Goa, also in India; Jobayada Aktar Jai, from Bangladesh; and Mr.Ferhat Bezazel from Algeria. Congratulations winners! Here’s the music you heard on this week’s program: Rimsky-Korsakov: “The Flight of the Bumblebee”, Ibrahim Maalouf; “Alf Leila Wa Leila (Movement II)” and “We the People” by Australian band Hunters and Collectors. Do you have a musical request? Send it to thesoundkitchen@rfi.fr This week’s question ... You'll have to listen to the show to participate. You have until 6 May to enter this week's quiz; the winners will be announced on the 11 May podcast. When you enter, be sure you send your postal address in with your answer, and if you have one, your RFI Listeners Club membership number. Send your answers to: english.service@rfi.fr or Susan OwensbyRFI – The Sound Kitchen80, rue Camille Desmoulins92130 Issy-les-MoulineauxFrance or By text … You can also send your quiz answers to The Sound Kitchen mobile phone. Dial your country’s international access code, or “ + ”, then 33 6 31 12 96 82. Don’t forget to include your mailing address in your text – and if you have one, your RFI Listeners Club membership number. To find out how you can win a special Sound Kitchen prize, click here: http://www.english.rfi.fr/culture/20141218-sound-kitchen-essay-contests To find out how you can become a member of the RFI Listeners Club, or to form your own official RFI Club, click here: http://www.english.rfi.fr/culture/20141218-how-form-official-rfi-listeners-club If you have an internet radio and would like to add RFI English to your pre-set buttons, send an e-mail to english.service@rfi.fr and we will get the link to you. A hearty welcome to four new official RFI Listeners Clubs! Welcome! If you would like to create an official RFI club, or transform your existing listeners club into an RFI club, click on the link below for information on how to get started. http://www.english.rfi.fr/culture/20141218-how-form-official-rfi-listeners-club Both Henry Ngum Zong and Ibrahim Umar Abdulkarim sent their answers via text to The Sound Kitchen mobile phone … you can do that too! Just dial + 33 6 31 12 96 82 and start typing! Welcome to our new RFI Listeners Club members. There’s long-time listener John James Bassey from Cross River State, Nigeria; Francis Sundima Tucker from The Gambia and David A. B. Konneh from Monrovia, Liberia. So glad you have joined us! 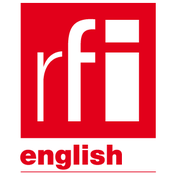 You too can be a member of the RFI Listeners Club – just write me at english.service@rfi.fr and tell me you want to join, and I’ll send you a membership number. It’s that easy. When you win a Sound Kitchen quiz as an RFI Listeners Club member, you receive a premium prize. We want to hear from you. We have a phone number you can call to leave us a message, so we can hear your voice. Just call, give your name, your country, and a short message - something like “I love RFI”, because of course you do – and we can put you on-the-air. The number to call is: + 33 1 84 22 95 82. The Sound Kitchen - Hear Soweto Sing! This week on The Sound Kitchen, you’ll hear the answer to the question asking who won the prize for Best World Music Album at the 61st annual Grammy Awards. There are a few inspiring words from the founder of Radio Taboo, Cameroon, a music by request from Heimer Sia in the Philippines - and of course, the new quiz question. Just click on the arrow in the photo above and enjoy! Hello everyone! Welcome to The Sound Kitchen weekly podcast, published every Saturday. You’ll hear the winner’s names announced and the week’s quiz question, along with all the other ingredients you’ve grown accustomed to: your letters and essays, “On This Day”, quirky facts and news, interviews, and great music … so be sure and listen every week. Wouldn’t you like to hear your voice on The Sound Kitchen? I know I would! Get out your telephones and record what we call “drops” – because we “drop” them in the show here and there - they’re the little “You’re listening to The Sound Kitchen, and Susan Owensby is cooking” things we sprinkle in the show. Many of these are from listeners, and since I’m always hungry, I want more! Here’s what you can say: “I am (your name) from (your country) and you’re listening to The Sound Kitchen on Radio France International.” “I am (your name) from (your country) and you’re listening to The Sound Kitchen, where you never know what you’ll be served!” “I am (your name) from (your country) - you’re listening to The Sound Kitchen, and Susan Owensby is cooking.” Or be creative and make up your own – why not? 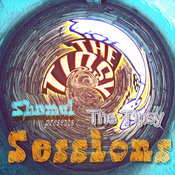 Samuel Francis from Jamaica sent me one that said “yah man” – I play it often! Send them to me as either Mp3 or WAV files, at thesoundkitchen@rfi.fr Paris Live, our afternoon news broadcast, wants in on the action, too! You can also send recordings of you saying the above, but instead of (obviously) "The Sound Kitchen", say "Paris Live". We'll have your voices all over the English Service airwaves - which is great! I would also like to hear from you about your little moments of joy. Small, daily things: a beautiful sunset, a baby’s laugh. Let’s add that as a very nice ingredient to our communal cooking – let’s share the joy! In these crazy times, we all need it … write to me at thesoundkitchen@rfi.fr For our DX enthusiast and shortwave listener friends: I am sad to announce we no longer have a shortwave frequency; we have severe budget constraints which no longer permit us to broadcast via shortwave. But you can still hear us on World Radio Network. As you know, we now broadcast only 1 hour per day, Monday – Friday, from 14:00 to 15:00 UTC/GMT. For North America: WRN broadcasts the quotidian RFI English programme three times a day from Monday to Friday, from 06:00 to 06:59, from 10:00 to 10:59 and from 16:00 to 16h59 UTC/GMT. http://babcock.media/world-radio-network/networks/english-north-america/ For Africa and Asia: WRN broadcasts the quotidian RFI English programme three times a day from Monday to Friday, from 06:00 to 06:59, from 10:00 to 10:59 and from 16:00 to 16h59 UTC/GMT. http://babcock.media/world-radio-network/networks/english-africa-asia/ For Europe: WRN broadcasts the quotidian RFI English programme three times a day from Monday to Friday, from 07:00 to 07:50, from 12:00 to 12:59 and from 20:00 to 20:59 UTC/GMT. http://babcock.media/world-radio-network/networks/english-europe/ In Paris, you can hear us on World Radio Paris (http://www.worldradioparis.fr/) on DAB+, Monday to Friday from 15:00 to 15:59 UTC/GMT as well as Tuesday through Saturday from 07:00 to 07:59 UTC/GMT. To listen to our features, go to our website and click on “Features”. You’ll see all of our features (now podcasts only). You can either listen directly, or subscribe and receive them directly on your mobile phone. Don’t give up on us! “My Favourite Music” is a nice – and important! - new ingredient to our communal cooking … it’s your musical requests from a certain genre or type of music. We started with your favourite female singers, then we moved onto men, and now, it’s your favourite instrumental music. It can be a band or a group, with or without singer, and we’ll play your requests throughout this month and April. Write to me at thesoundkitchen@rfi.fr, and be sure you include your city and country in your note, along with a link and a short translation, if you can. Share why the music is important to you, please! I think it is quite nice to share your favourite music as well as your thoughts about it – thanks to Daniel Singleton, the RFI English Head of Service, for the idea! This week’s request is from Heimer Sia, an RFI Listener from Manila, Philippines. Teachers, take note! I save postcards and stamps from all over the world to send to you for your students. If you would like stamps and postcards for your students, just write and let me know. The address is thesoundkitchen@rfi.fr Did you know there’s an RFI English newsletter? If you subscribe, you'll receive our newsletter every day. Just click on Newsletters, fill out the form, and you'll stay up-to-date with RFI English. Welcome to our new RFI Listeners Club member: Howard Barnett from Northampton, England. So glad you’ve joined us! You too can be a member of the RFI Listeners Club – just write me at english.service@rfi.fr and tell me you want to join, and I’ll send you a membership number. It’s that easy. When you win a Sound Kitchen quiz as an RFI Listeners Club member, you receive a premium prize. RFI Clubs: Be sure to always include Audrey Iattoni (audrey.iattoni@rfi.fr) from our Listener Relations department on all your RFI Club correspondence. Remember to copy me (thesoundkitchen@rfi.fr) when you write her so that I know what is going on, too. N.B. You do not need to send her your quiz answers! We’ve made a Facebook page just for you, the RFI English Clubs. It is a closed group, so when you apply to join, be sure you include the name of your RFI Club and your membership number. Everyone can look at it, but only members of the group can post on it. If you haven’t yet asked to join the group, go to the Facebook link above and fill out the questionnaire!!!!! (if you do not answer the questions, I click “decline”). Are you interested in forming an official RFI Club, or transforming your existing club into an official RFI Club? Click on the link to find out how! This week’s quiz: On 16 February, I asked you a question about the 61st annual Grammy Awards. I wanted to know who won the “Best World Music Album” award, and where the group is from. The answer is: Soweto Gospel Choir. From Soweto, South Africa Their 2018 album “Freedom” is a 12-track tribute to late South African President Nelson Mandela released to mark the 100th year of his birth. It draws inspiration "from the freedom fighters of 1976," referring to a key year in the fight against apartheid, the Soweto uprising.Soweto is a shortened form referring to the South West Townships on the edge of Johannesburg, and it became a worldwide symbol of resistance. The winners are: Mrs Umme Kulsom Khatun of the Students Oriental Radio Club, West Bengal, India; Radha-krishna Pillai, from an RFI Listeners Club in Kerala State, India; Mr A. K. M Nuruzzaman, a member of the RFI amour fan club in Bangladesh; Mrs. Santa Khanam, of the Friends Radio Club in Bangladesh; and DR. D W NABI, from Middlesex in the UK. Congratulations winners! Here’s the music you heard on this week’s program: Rimsky-Korsakov: “The Flight of the Bumblebee”, Soweto Gospel Choir “Umbombela” and “Heartbeat” by French band Tahiti 80. Do you have a musical request? Send it to thesoundkitchen@rfi.fr This week’s question ... You'll have to listen to the show to participate. You have until 29 April to enter this week's quiz; the winners will be announced on the 4 May podcast. When you enter, be sure you send your postal address in with your answer, and if you have one, your RFI Listeners Club membership number. Send your answers to: english.service@rfi.fr or Susan OwensbyRFI – The Sound Kitchen80, rue Camille Desmoulins92130 Issy-les-MoulineauxFrance or By text … You can also send your quiz answers to The Sound Kitchen mobile phone. Dial your country’s international access code, or “ + ”, then 33 6 31 12 96 82. Don’t forget to include your mailing address in your text – and if you have one, your RFI Listeners Club membership number. To find out how you can win a special Sound Kitchen prize, click here: http://www.english.rfi.fr/culture/20141218-sound-kitchen-essay-contests To find out how you can become a member of the RFI Listeners Club, or to form your own official RFI Club, click here: http://www.english.rfi.fr/culture/20141218-how-form-official-rfi-listeners-club If you have an internet radio and would like to add RFI English to your pre-set buttons, send an e-mail to english.service@rfi.fr and we will get the link to you. A hearty welcome to four new official RFI Listeners Clubs! Welcome! If you would like to create an official RFI club, or transform your existing listeners club into an RFI club, click on the link below for information on how to get started. http://www.english.rfi.fr/culture/20141218-how-form-official-rfi-listeners-club Both Henry Ngum Zong and Ibrahim Umar Abdulkarim sent their answers via text to The Sound Kitchen mobile phone … you can do that too! Just dial + 33 6 31 12 96 82 and start typing! Welcome to our new RFI Listeners Club members. There’s long-time listener John James Bassey from Cross River State, Nigeria; Francis Sundima Tucker from The Gambia and David A. B. Konneh from Monrovia, Liberia. So glad you have joined us! You too can be a member of the RFI Listeners Club – just write me at english.service@rfi.fr and tell me you want to join, and I’ll send you a membership number. It’s that easy. When you win a Sound Kitchen quiz as an RFI Listeners Club member, you receive a premium prize. We want to hear from you. We have a phone number you can call to leave us a message, so we can hear your voice. Just call, give your name, your country, and a short message - something like “I love RFI”, because of course you do – and we can put you on-the-air. The number to call is: + 33 1 84 22 95 82. The Sound Kitchen - Who is the president-elect of El Salvador?